TheBlueGuerilla: LEAKED: Julian Huppert MP Awful With Every Breath He Takes In Lib Dem Sing-a-Long. LEAKED: Julian Huppert MP Awful With Every Breath He Takes In Lib Dem Sing-a-Long. 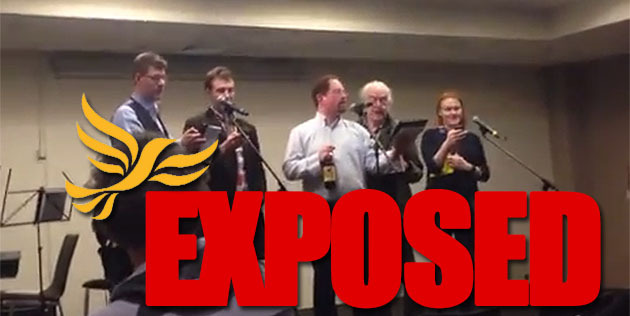 LIB DEM MP Julian Huppert has been captured on video during a sing-a-long to the old Puff Daddy (or Police) tune, "Every Breath You Take" at the recent Lib Dem Spring Conference in York, TBG can sensationally reveal. The leaked video shows the awful singing coupled with Huppert clutching what looks like a bottle of Leffe, with four very awkward karaoke participants and a definite Jesus-sandal wearing guitarist.